Food Intolerance Test? - what are they and do you need one? Which Food Intolerance Test is Right for You? If you need a food intolerance test you are in the right place. Here I give you a very brief overview of how food intolerances are diagnosed. First, a quick word of advice. If you think you have a food allergy or intolerance your first step is always to get a proper diagnosis. Here at Overcome Food Intolerances, we recommend using the medical profession to get your diagnosis and to help you to manage your condition. However, we also understand that this is not always practical or possible. In some countries, there are not many nutritionists or allergists available to consult, which means that the waiting list is just too long. For others accessing this kind of treatment is just too expensive. As a result, we have decided to tell you about all of the options including home testing kits. However, when it comes to diagnosis, if you can get the relevant medical support it is wise to do so rather than go it alone. People are tested for food sensitivities in three main ways. The three methods are skin tests, blood tests and elimination diets. There are three main types of skin tests. They all work by applying a solution of the suspected allergen to the skin and looking for an adverse reaction. This is the most common food intolerance test. Results are instant and for the most part very accurate. Blood tests look for signs of high levels of certain antibodies in the blood. Again, you can find out more about blood testing for food sensitivity on the general testing page or if you want to understand the science behind these tests goes to the detail blood-testing page. This food intolerance test is not used very much. Someone with a full-blown food allergy will have an adverse reaction that can easily be seen in a blood test. With someone who is sensitive to a certain food, the reaction is less severe, so it can be difficult to pick up in the blood. The results can only really be properly assessed by someone who is trained to do so. The third diagnostic tool is the oldest. The use of special food allergy food regimes that are collectively known as elimination diets. These diets are exactly what they sound like. To determine whether you are allergic to a specific food you eliminate it from your diet. If your symptoms clear up the chances are you have found the culprit. Sometimes you are lucky and the first food you eliminate is the one that is causing your food sensitivity issues. Unfortunately, this does not happen often so you can find yourself on an elimination diet for several months. This is the most trying and time-consuming food intolerance test, but it is very effective. You can find out more about food allergy detection diets elsewhere on the website. Most allergists will utilise all three of these diagnostic tools. Taking this approach gives you the fastest and most accurate diagnosis possible. Once you have a diagnosis of food intolerance, the main treatment is to drop those foods from your diet. Some people suffer from accumulative sensitivity to certain foods. This means that in time, you may be able to eat small amounts of the food, provided you only do so occasionally. Eliminating a core food like wheat from your diet is not easy, but it can be done with the help of a range of allergen-free foods. You can buy a great range of allergen-free foods at this link. 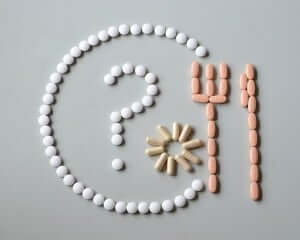 Antihistamines can be used to reduce the symptoms of food intolerance. However, long-term use of antihistamines is not ideal. 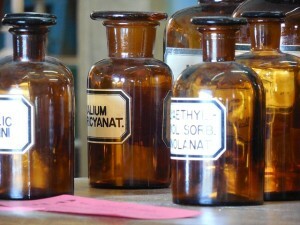 As with all drugs, long-term use puts a strain on the body and causes side effects. You should never just take these tablets. They need to be prescribed for you by a medical professional. Adrenaline is rarely used on people with food intolerances. It is really only used when someone with a true food allergy has an anaphylaxis reaction. This reaction is a severe allergic reaction, which people with low-level sensitivity to foods rarely experience. You should never use adrenaline without the guidance of a medical professional. It is not something you can experiment with. Some people find that, over time, they develop other food intolerances. As a result, some people keep a food and symptoms diary to help them to track what they eat and how they feel. This approach allows them to work out whether any new foods are making them feel ill, and do so quickly. Others use it to check whether they are still sensitive to certain foods. Food intolerances can come and go. Some people can tolerate small amounts of the foods that they are intolerant to after they have eliminated them from their diet for a few months. 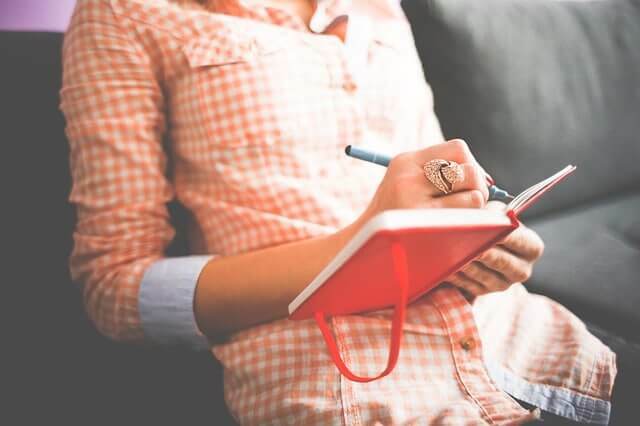 Keeping a food diary is the best way of checking whether this applies to you and to work out how much of a certain food you can eat without feeling ill. If you suspect that you have food sensitivities it is worth keeping a food diary and noting any symptoms. For example, digestive issues, rashes, inflammation or congestion. When you see an allergist or doctor regarding these issues they will be able to study your food diary. This can help them to make a faster diagnosis. Nutritional therapy can help to reduce the sensitivity you have. It primarily works by ensuring that you are eating a good diet, which strengthens your body and its immune system. This approach can help you to better manage the negative impact a food intolerance has on your life. The logic is that strengthening your immune system helps it to function better. This means it gradually stops overreacting the introduction of foodstuffs that are actually harmless. It is really important to understand that this is only the case with food intolerances. Not with food allergies. Plus, there is no guarantee that fortifying your immune system will lessen your food sensitivity issues. I benefited greatly from complementary medicine. The practitioner I went to was a qualified neurologist and biochemist. Checking my vitamin and mineral levels helped her to narrow down the products, I was intolerant of. She used another unusual technique that appeared to work for me. But, because NICE does not recommend that method to diagnose food intolerances, it would be wrong of me to have you add it to your list of possibilities. Click on the link and read about the method and what NICE have to say about it and you will understand why I am taking this approach. Addressing deficiencies in my body and initially cutting out allergens gradually improved my health. Later when I was healthier, with the help and supervision of a doctor, using tinctures that contained very low levels of the products I was intolerant of I was able to gradually build up my tolerance to many of those foods. After many months of treatment, I was able to return to eating some, but not all, of the foods that had previously given me digestive and skin issues. At the time, this approach was highly unusual. Interestingly, today, a similar approach is being used to treat actual food allergies in children, with some success. You can read about this towards the end of this page and if you click here there is a very good explanation of how this works. So, in my experience and that of many of her other patients, Dr Mary Loveday was ahead of the curve when it came to treating food intolerances. There is no doubt that her training as a neurologist provided her with a unique skill set that enabled her to pick up on signals from the body that indicated weaknesses and vulnerabilities. This is really where my interest in using complementary medicine to help people with food intolerances comes from. Interestingly as the problem of food allergies has become more widespread, the conventional medical community has begun to test some of the methods used by the complementary medical community. Some of these alternative therapies are proving promising for the treatment hypersensitivity or intolerances. Oral immunotherapy is one such example. It works by exposing those with allergies to tiny amounts of their allergens and gradually building the dose up. The process re-educates the body to realise that the allergen is actually not harmful. Not unlike the treatment I underwent with the help of Dr Mary Loveday, which helped me greatly. Please note this is not something you can do at home. The amount of the allergen used is infinitesimal to start with. This kind of oral solution can only reliably be made in the lab and should only be used with medical supervision. No one with an actual food allergy should expose himself or herself to any allergen, no matter how small. Doing so could be lethal. Oral immunotherapy trials have taken place, with good results. The next step is applying for FDA approval, something you can read about here. As you can see, the world of food intolerance diagnosis and treatment is an evolving one, so I will regularly update this page and others on the site as new advances are made. If you need a food intolerance test, speak to an allergist about which one is best for you.